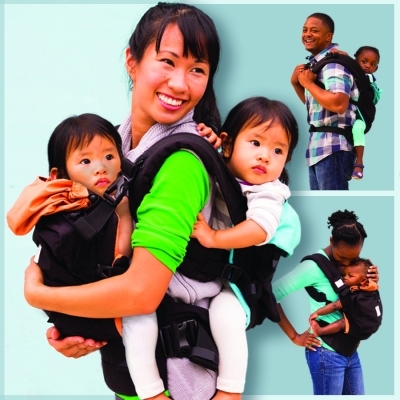 Distributes the weight well and makes it comfortable to carry two babies at one time! A great idea for twins or people with 2 children. I'd use it for sure!! Looks sturdy and comfortable.